More tape of meeting where Ashby suggests making money from electoral authorities. Politics ONE Nation has won a bid to gag former treasurer Ian Nelson as it continues to deal with the fallout of two leaked tapes. Politics PAULINE Hanson says she has “nothing to hide” after it was revealed she was putting campaign donations into her own account. 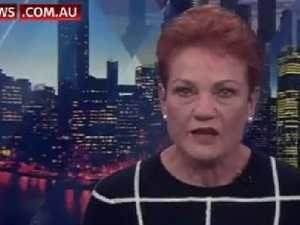 News QUEENSLAND Police have spoken to One Nation Senator Pauline Hanson’s chief-of-staff James Ashby. News JAMES Ashby discussed giving special treatment to a One Nation state election candidate at the same meeting where he suggested making others pay more. Politics MALCOLM Turnbull has asked Australian Federal Police commissioner and others for advice after James Ashby floated idea of One Nation scamming public funds.